Philosemitism: Is renowned Spanish writer Antonio Gala an anti-Semite? Is renowned Spanish writer Antonio Gala an anti-Semite? According to the 2008 Pew Global Attitudes Project, Spain has the highest level of anti-Semitism in Europe, with more Spaniards holding negative than positive views of Jews. It is therefore not surprising that there is not a word about Gala's antisemitis views on his Wikipedia biography in Spanish, though there is a mention that in 1981 he was appointed Chairman of the Hispanic-Arab Friendship Association. 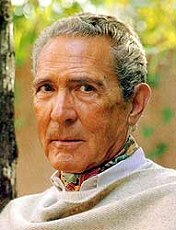 Antonio Gala is surely one of the most renowned Spanish writers, with works such as Petra regalada, Samarkanda or La pasión turca, among many others. But he doesn't only write novels, poems or scripts, but also opinion articles to be published by Spanish daily El Mundo. And, as Libertad Digital reported on Wednesday, March 16, 2011, one of his last ideas consisted in using the human and national tragedy Japan is currently living to target Israel. Gala explained in his article about what he calls the "human fleas" that "lessons such as the earthquake and the tsunami in Japan should teach them other kinds of behaviour: unity in the face of helplessness, generosity, (...). But they don't learn." And then he writes about Israel in this manner: "So we see Israel there, the most racist country, going back to Gaza after the fright." This is not the first time he targets Israel or even the Jews. In an article published on February 5, 2009 by El Mundo, he explained that "the Jewish people will succumb again. Like it happened many times: pogroms, voluntary or unvoluntary ghettos, extermination, persecutions, expulsions,... From Egypt to Sepharad, from Canaan to Zion: all of them promised lands. Shouldn't they ask themselves why does always happen the same to them? Or is the rest of the world wrong?" Spanish journalist David Gistau answered Gala through an article published on February 8, 2009 by El Mundo. He wrote that Gala's "reasoning makes Hitler an executor arm of a hate morally justified by a majority", as well as "we should ask Gala whether he would apply the same logic to (...) understand other persecutions (...). For example, those which were suffered by homosexuals." Did Gala react to Gistau's argument by apologizing to the Jews? No, he didn't. On March 5, 2009, another article written by Gala was published by El Mundo. The Spanish writer explained about the Jews that: "Always the same: or persecuted or persecutors. Or both things at the same time." I'll not insult anybody's intelligence by explicitly answering the question which serves as the title of this article. February 12 2009 – New York – AJC today rebuked Spanish newspaper El Mundo for publishing an openly anti-Semitic column, and expressed concern over the increasing level of anti-Semitism in Spain. Spanish law prohibits anti-Jewish hate speech and the justification of the Holocaust. AJC previously wrote a letter to the editors of El País after that newspaper published an anti-Semitic cartoon during the Gaza crisis, and condemned the Catalan regional government for canceling a commemoration of International Holocaust Remembrance Day due to Israeli military action. According to the 2008 Pew Global Attitudes Project, Spain has the highest level of anti-Semitism in Europe, with more Spaniards holding negative than positive views of Jews.